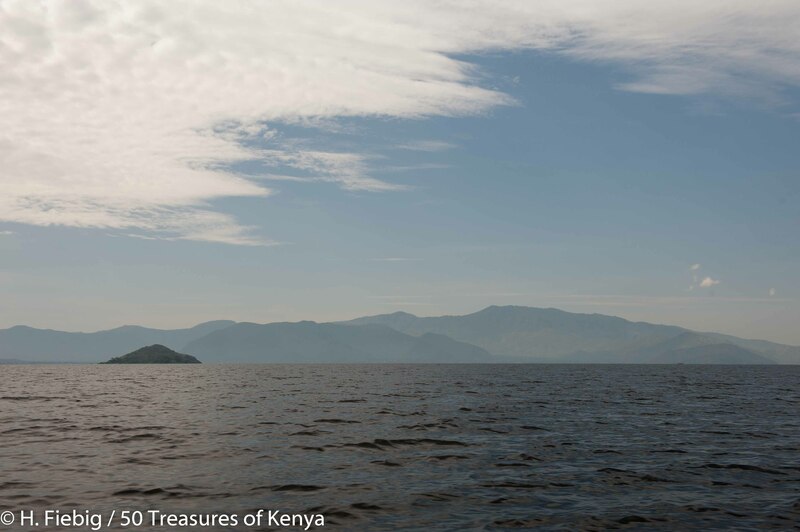 The first recorded information about Lake Victoria comes from Arab traders who were plying the inland routes in search of gold, ivory and slaves. Also known as Nam Lolwe in Luo and Victoria Nyanza in Bantu, it is the biggest of the African Great Lakes and the largest tropical lake in the world, surpassed only by Lake Superior in North America. In terms of its volume, Lake Victoria is the world’s ninth largest continental lake, containing about 2,750 cubic kilometers of water. Surreal light on Lake Victoria. A thorough map dated from the 1160s, known as the Al Idrisi map from the calligrapher who developed it, depicted the lake as the main reservoir of the Nile River. Which led to the fervent search by European investigators for the source of the Nile and the sighting of the lake by the famous British explorer John Hanning Speke in 1858. Formerly known to the Arabs as Ukerewe. The lake was named by Speke in honour of Queen Victoria of England. An extensive survey of the lake was made much later by Sir William Edmund Garstin, a British Engineer, in 1901. The great lake lies within the expansive Victoria basin between Tanzania and Uganda with a small part extending into Kenya. It covers an area of about 238,900 km2. The lake’s deeply indented northern coast is flat and bare with the Ugandan cities of Kampala and Entebbe lying near the northern coast. 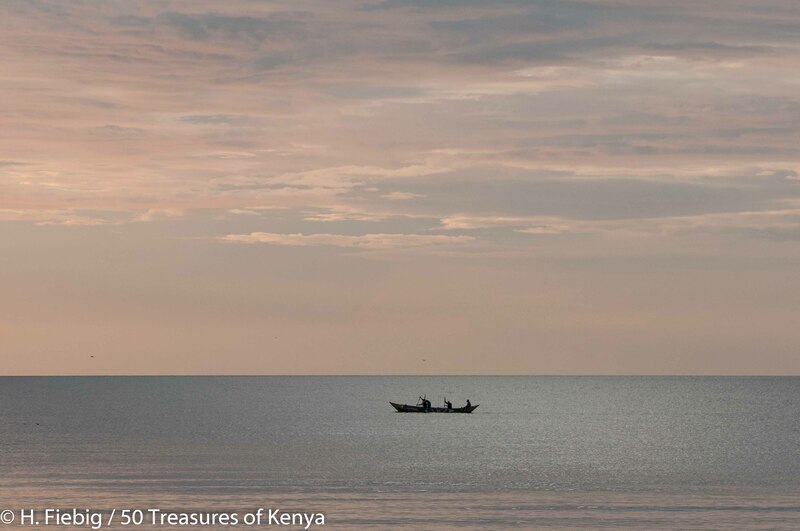 Sunrise at a landing site for fishermen on Mfangano. 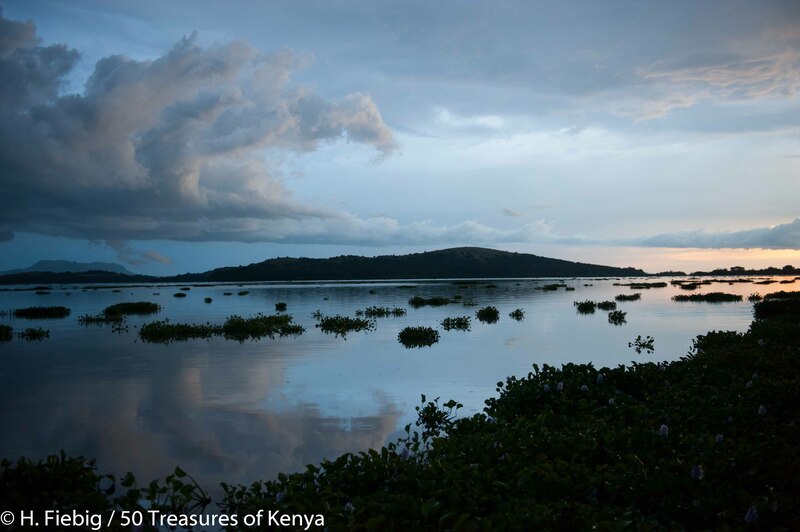 The Kenyan share of Lake Victoria occupies an area of approximately 69,480 km2. With an irregular quadrilateral shape, its shores, save on the west, are deeply indented. It is 337 km long from north to south and 240 km wide from east to west with over 3,220 km of coastline. At an elevation of about 1,134 m above sea level, its waters fill a shallow depression in the centre of the great plateau that stretches between the Western and Eastern Rift Valleys, reaching a depth of up to 82 m.
There are many archipelagos within the lake as well as numerous reefs just below its surface. The lake is characteristically known for its abundance of fish, providing over 200 species of fish, which all make a major contribution to the economy from their exports by local fisherman. Lake Victoria receives its water primarily from direct precipitation and thousands of small streams as it drains water into the Winam Gulf. This narrow channel leads into what is formerly the Kavirondo Gulf, of the northeastern corner of the lake. 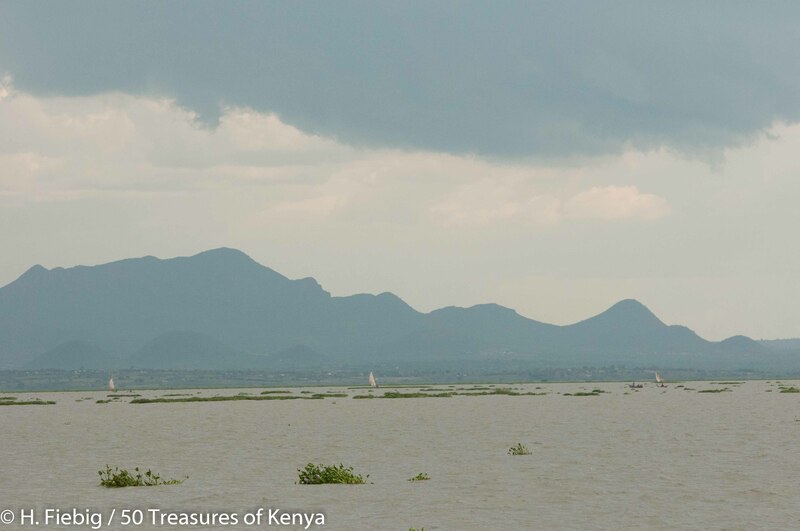 It is a shallow inlet that is 56 km long with an average width of 25 km extending 64 km eastward towards Kisumu. Rain and flaming sky at the lake shores. The Kagera River, the largest and most important of the lake affluents, enters the western side of Lake Victoria just north of latitude 1° S. One other source is the Katonga River which is situated north of the Kagera. There are several other inlets but the lake’s only outlet is the Victoria Nile to the north. The Speke Gulf is at the lake’s southeastern corner while the Emin Pasha Gulf is situated at its southwestern end. This area is up to 18 m deep with a mud and sandy bottom, deepening to approx. 48 m as you head north of the gulf ‘s lake floor. The lake’s south-western coast is backed by precipices about 90 m high which give way on the western coast to papyrus and ambatch (Aeschynomene elaphroxylon) swamps marking the delta of the Kagera River. The rolling hills and plateaus of the Victorian Basin Forest-Savanna Mosaic vegetation extend from the north and west of the lake. It is most noted for its high diversity and locality resulting from the mixture of habitat types and species from both western and eastern Africa. The southern Acacia-Commiphora bushlands and thickets cover the lands east and southeast of the lake with wide-sweeping grasslands and associated woodlands dominated by species of Acacia and Commiphora trees. Southwest of the lake, densely forested Central Zambezian Miombo Woodlands include trees 15-20 m high rising over a broadleaf shrub undergrowth with grassland underneath. Water hyacinth – beautiful menace. 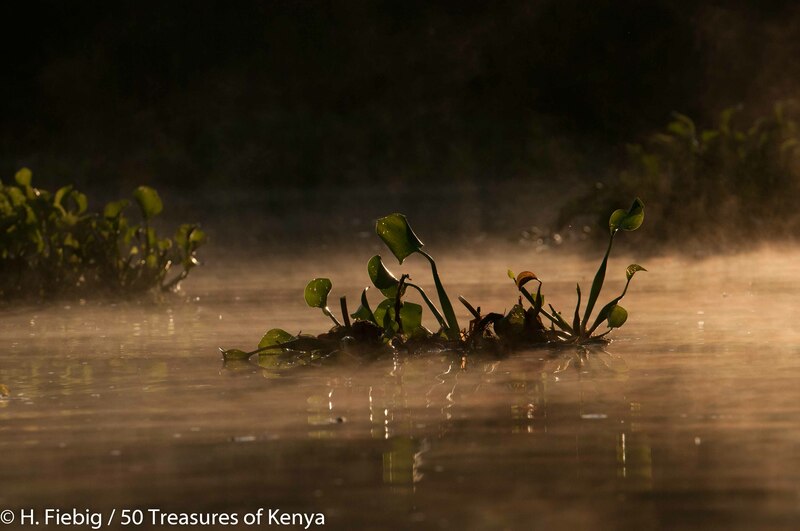 Another exotic species introduced to lake Victoria that has also caused major environmental problems is the water hyacinth (Eichhornia crassipes), a plant native to the tropics of South America. It appears to have been been introduced to the region by Belgian colonists to Rwanda in the nineteenth century to beautify their holdings and then advanced by natural means to Lake Victoria where it was first sighted in 1988. In about a decade, it had spread along the shorelines in thick mats that covered an estimated 200 km2 impacting fisheries, crippling transportation and stalling hydroelectric power production. Even with all the challenges facing it, the lake is still home to a large number of popular aquarium species, many of which are endemic to it. Lake Victoria hosts many varieties of fish of which the Nile Tilapia (Oreochromis niloticus) is the most economically important for local consumption. A 1971 UN survey that was conducted on the lake’s ecosystem reported that Haplochromine cichlids constituted about 80% of the total fish biomass of the lake. Cichlids were also a significant food source for the rapidly expanding population living around the lake. Nile perch constitutes a big share of the catch of the local fishermen, but its introduction into the lake has also caused problems. The Nile perch (Lates niloticus), a large predatory fish, was first introduced into Lake Victoria in 1954. 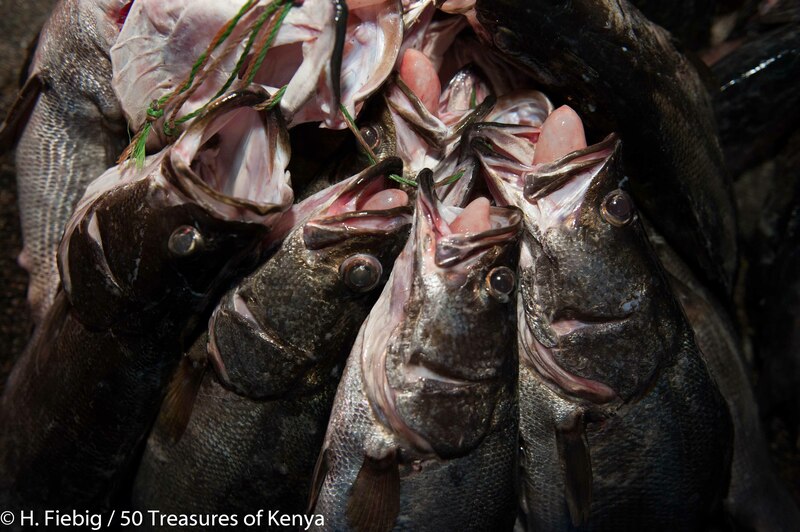 The upsurge of Nile perch in Lake Victoria was then later observed in the Nyanza Gulf in 1979. In the 1980s the species suddenly increased strongly, but not simultaneously throughout the lake. After the disappearance of the haplochromine cichlids and the establishment of a large stock of shrimps, the Nile perch became a resident species of the lake. There are a number of reserves and IBAs around the shores or on islands in the lake. Myriads of birds found around the lake’s region comprise rare species of waders, weavers and nectar eaters which are not seen anywhere else in the country. Some of those which have been sighted are endangered bee-eaters, swamp flycatchers, warblers, sunbirds and seedeaters. The lake itself is not a park or reserve and the lack of well-known parks with lots of big game around here often means that the area is less visited by tourists. Being only 3-4 hours from the Masai Mara and only an hour or so from the Kakamega Forest, it’s a good place to stop before proceeding to the other neighbouring destinations . Nile perch fishing is so far the biggest draw for Lake Victoria but since it is easily accessible from the Mara it makes a wonderful place to relax during your safari. The lake offers many opportunities which include trips to local villages and nearby islands plus excellent bird watching. The cichlid family of fish also present scientists and hobbyists alike with a fascinating study in evolution, since they are believed to be the most rapidly evolving species on the planet. The lake’s shores vary in aspect and its many archipelagos and numerous reefs provide nature lovers with an ideal ambiance to go for walks and sightseeing. Of the numerous islands in the lake, the densely populated Ukerewe which is north of Speke Gulf, is the largest, with wooded hills rising about 200m above the lake. At the lake’s northwestern corner are the sixty-two islands of the Sese archipelago and some of them are of striking beauty. 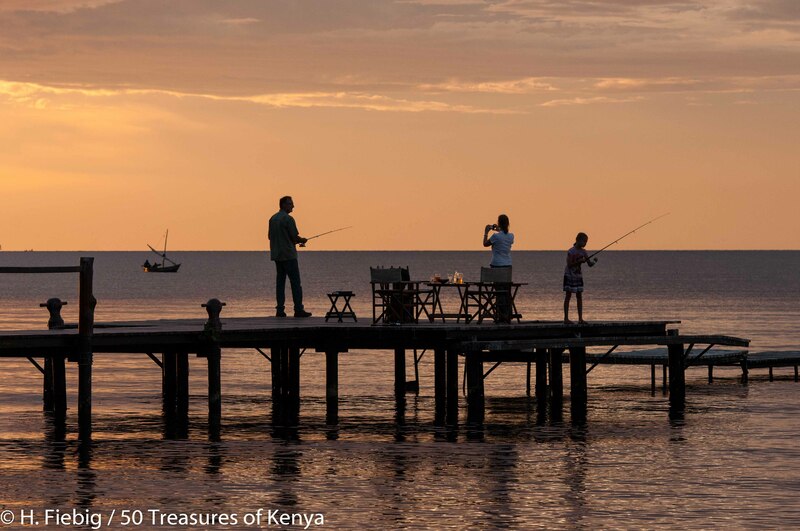 Angling on the pier of Rusinga Island Lodge. The majority of the people inhabiting this area are Bantu-speaking. Several million people live within 80 km of the Lake Victoria region, which is one of the most densely populated areas in Africa. There are several cities that are built right on or very close to the northern coast of Victoria. Kampala and Entebbe benefit highly from the easy access to the water for fishing. On the ferry boat crossing Winam gulf to Mbita, view of Gwasi Hill. 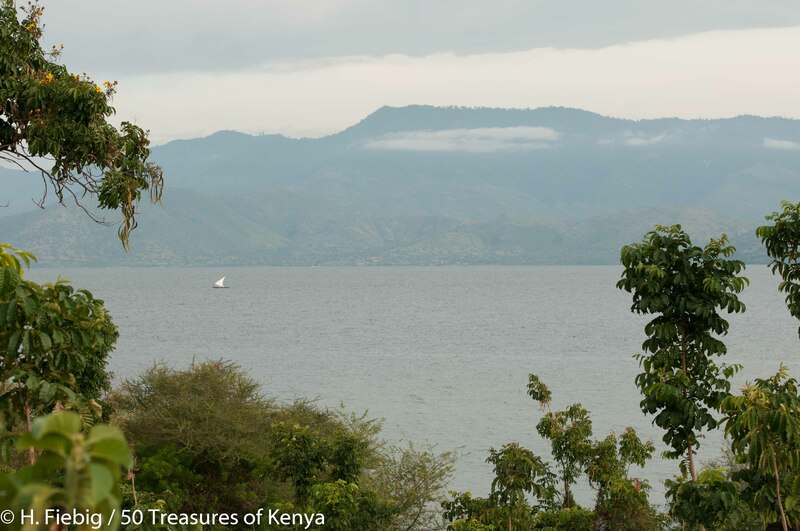 Formerly known as Kavirondo Gulf, Nyanza Gulf and Lake Nyanza Gulf, it is a shallow inlet which is connected to the main lake by the Rusinga Channel that is partly masked from the main body of the lake by islands. It stretches about 100 km east to west and 50 km north-south and has a shoreline measuring about 550 km. The Gulf is comparatively shallow, having a recorded maximum and average depth of 68 m and 6 m.
It lies in the eastern part of Lake Victoria, at the mouth of the Winam Gulf, west of Rusinga Island. The island is 65 km² in area and rises to 1,694 m at Mount Kwitutu. Mfangano Island derived its name from the term ‘okuwangana’ which means to unite in Abasuba or a place where people united. 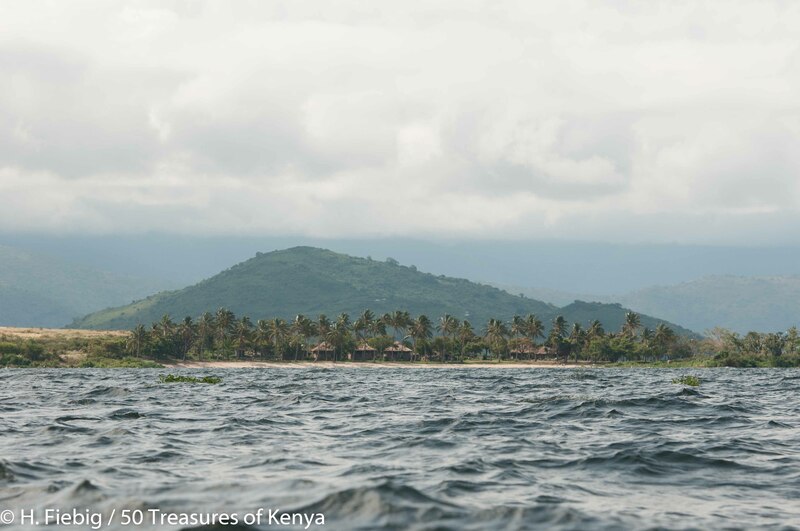 The name might have originated due to the fact that Mfangano Island provided refuge to groups that were conquered in the mainland by the more populous Luo communities. Lake and sky skapes on the way to Mfangano. The vegetation is variable but dominated by a combination of thick forest trees and shrubs, down slope, while the hilltop is dominated by patches of forest and grassland. The island’s main inhabitants are the Abasuba people, a sub-tribe of the Bantu of East Africa who have been largely culturally influenced by the more dominant Luo through interaction and intermarriage. 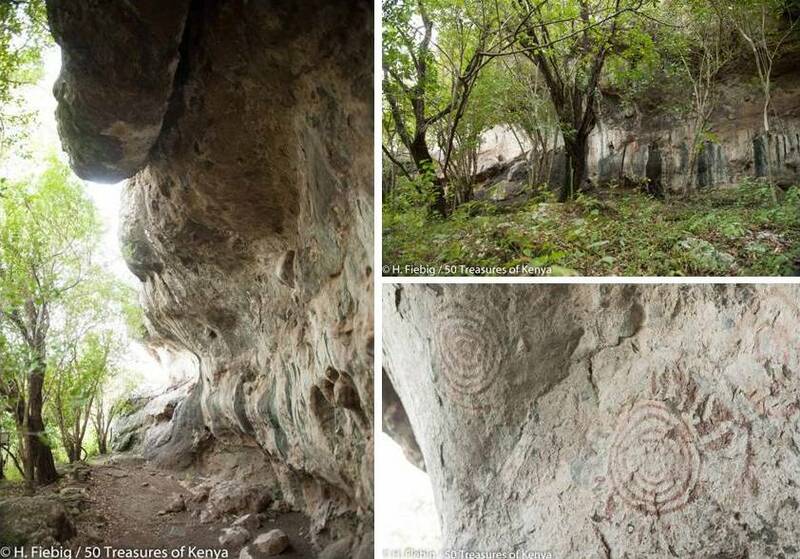 Mfangano Island is also acknowledged for its ancient rock art, possibly 2,000 years old, which is thought to have been created by the early forager-hunters, the Twa people. The Twa people, also known as Batwa or pygmies, have been described as the forgotten tribe who live in the Great Lakes region of Africa. Three sites on Mfangano Island have legends attached to them and two of the sites, Mawanga and Kwiton, are still in use. The art in the sites comprises almost solely of sets of concentric circles in two or all three of the colours red, white and black. Mfangano also boasts a museum which is under the local community and the Trust for African Rock Art (TARA). You can get there by road from Kisumu to Luanda Kotieno which is a distance of about 60 km and from there you can take the Mbita Ferry, at Kshs 200 one way, to get to the island, that is located just off the coast. The transit should take you roughly about 10-15 minutes on the most direct way. 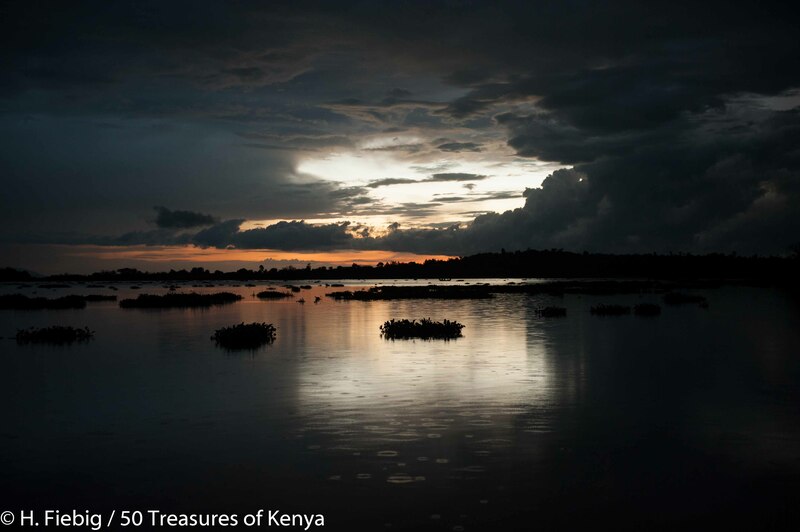 They are located on the Lambwe Valley in what is known today as Homa Bay County. The Hills are covered by rich volcanic soils with natural forests that are plentiful in rare botanical plants of medicinal value. The forests also boast an abundance of insect and wild plant species. 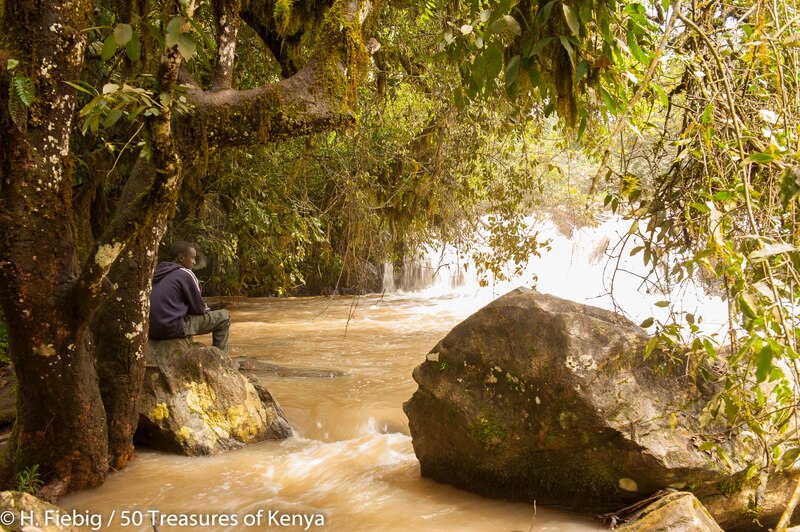 Natural springs flow from the Hills and coalesce to form the Kuja River system and the Lambwe River, which is the main source of water for residents of Mbita, Suba, Gwasi, Rongo and Awendo. Gwasi Hills as seen from Mfangano Island. The outer part of the Gwasi massif is composed of a steep, deeply gullied outer ridge of volcanic rocks called Kisingiri with high points at Sumba (1,839.2m), Gembe (1,898.9m), Gwasi (1,945.8m) and Usengere, alternatively known as Kwirathia (2,272m). The last summit of this densely forested ridge, is the highest point in the area. The semi-circular outer ridge falls sharply to an alluvial-floored depression in which low hills of granite and Nyanzian rocks are exposed, due to updoming during the formation of the Kisingiri volcano. In the centre of this hollow, which is partly covered by the waters of Lake Victoria, rises an almost circular eminence with nearly vertical bounding cliffs. The carbonatite complex of Rangwa is 1734.4m above sea-level. 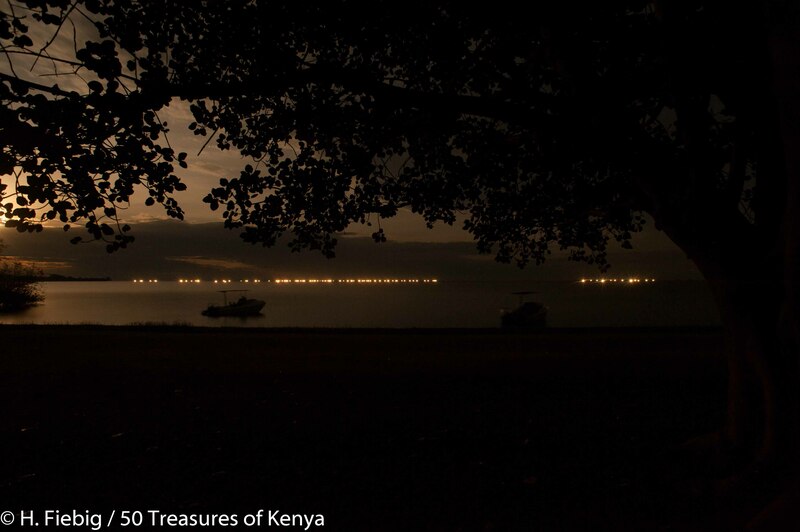 Southwards of Kisumu lays the dreamland of the ancient historic magical Island of Rusinga. 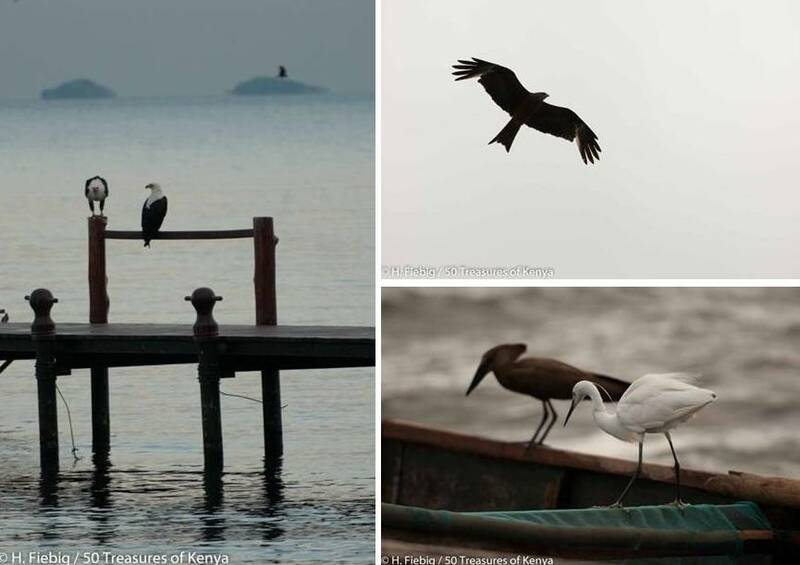 It is a place with amazing skies and birds which offers you more of the aquatic culture of Lake Victoria. Rusinga was a Bantu word derived from ‘Lusinga’ meaning Island. It is an elongation approximately 16 km from end to end and 5 km at its widest point, which lies in the eastern part of the Lake at the mouth of the Winam Gulf. The Island has the most spectacular bird outlook in the area and is a weaver bird country (family ploceidae) with about thirty or so of this species including queles, bishops and window birds. The birds can be seen hovering around and above for food especially as the sun goes down in its clear skies flocked with eagles, pelicans, cattle egrets and grey heron. In 1948 Rusinga Island came into the history books when Mary and Louis Leakey made their discovery of the last common ancestor of the great apes, proconsul heleloni, which was purportedly an early genus primate that existed around 27 million years ago. 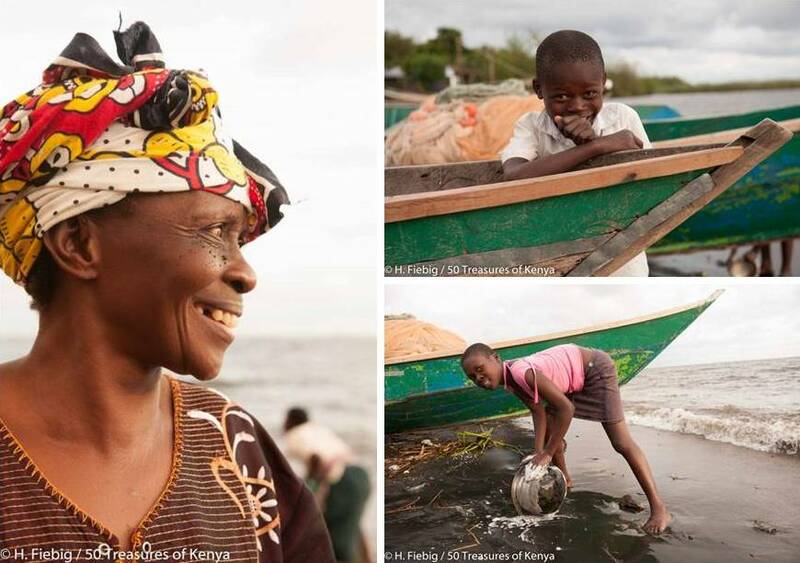 Since the Island is at the crossroads where Kenya, Uganda and Tanzania meet, it has been influenced by the three countries’ traditional cultures. This is seen as many cross the Lake and live in other islands where traditional Ugandan or Tanzanian foods can be found in the local menu such as Matoke (rabolo-plantain) as well as all fish and vegetables dishes. Luos from the Northern and South Nyanza mainland also bring their rumba-style music, their round thatched house model of homes and their love of partying to add to the mix. 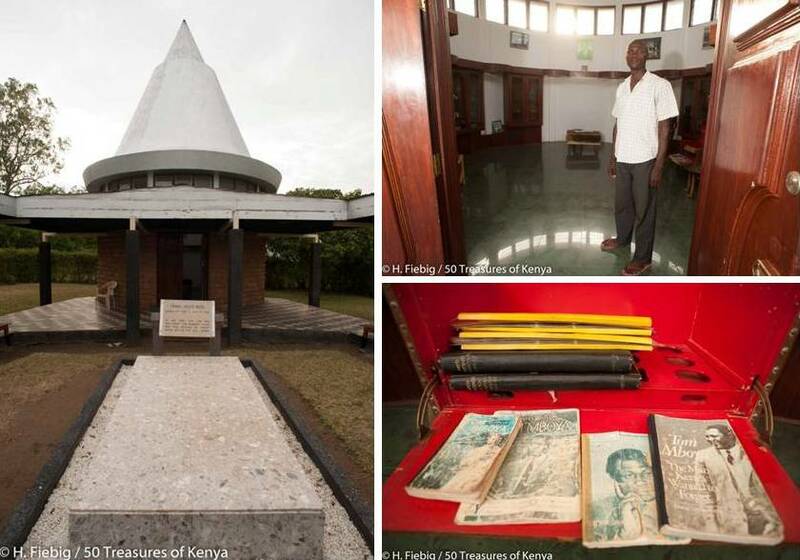 Rusinga Island also hosts the mausoleum of the late Tom Mboya, who is one of the most prominent personalities in Kenyan history. He was born Thomas Joseph Mboya on 15th August 1930 and was assassinated at the tender age of 39 on 5th July 1969. It is widely believed that his profile and illustrious career as a brilliant and charismatic leader, which was seen as a challenge to the then political establishment, led to his assassination. As a renowned trade unionist, politician and statesman, Tom Mboya joined active politics in 1957 when he successfully contested and won a seat in the Legislative Council and later in 1958 when he founded the Nairobi People’s Congress Party. He was later instrumental in forming the Kenya African National Union (KANU) that formed the government after independence and became its first Secretary General. At the time of his assassination, he held the Cabinet portfolio of Minister of Economic Planning and Development. Ndere Island National park covers an area of about 4.2Km2 off the northern shore of Lake Victoria and was opened in November 1986. Ndere means ‘meeting place’ in the language of the local Luo tribe. The Island is not inhabited and is mostly dominated by grassy hills that offer beautiful views over the island and on the lake with its many hyacinth islands. The hills are surrounded by forests and bush-land that grow on the shores of the island. View from the lake shore towards Ndere Island and Gwasi Hill in the back. Wildlife in this area includes impalas, baboons, hippos, crocodiles and many birds. 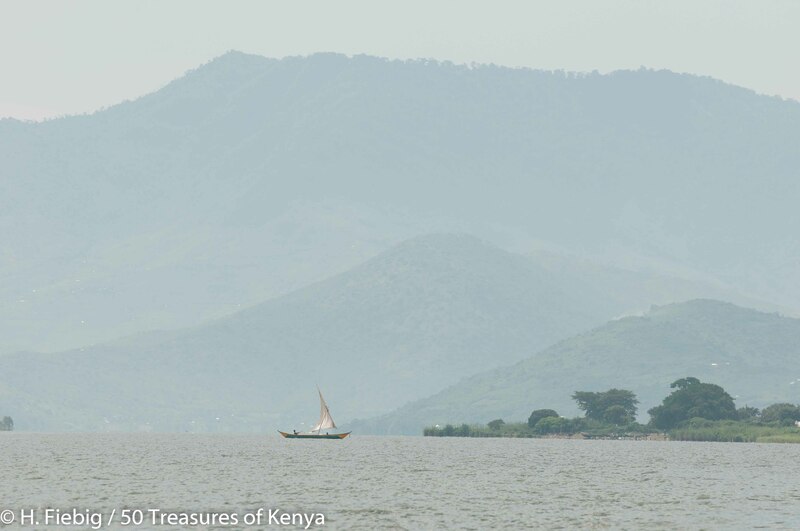 There is a walking trail that leads across the island over the hills and it can be visited in a day trip from Kisumu, also by boat. 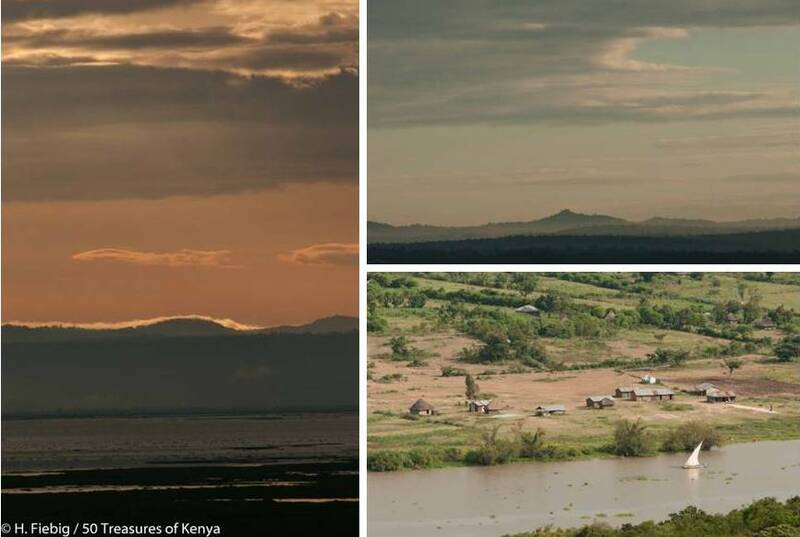 You can also stay overnight on a KWS campsite on the island or in another KWS campsite located just opposite it at the shore near their headquarters. Since it is rarely visited, you can always enjoy a Robinson Crusoe feeling when you are there. Ndere Island is a perfect location to watch the sunset or sunrise from one of the hills with spectacular views over the Island and Lake Victoria. Sunset on the shore near Ndere Island. You can get there by road from Kisumu to Bodikoloje, which is about 60 km. From there you can rent a boat to get to the island which is located about 10-15 minutes on the most direct way just 2km off the coast for Kshs 1500 both ways. Bodikoloje can also be reached by matatu from Kisumu. 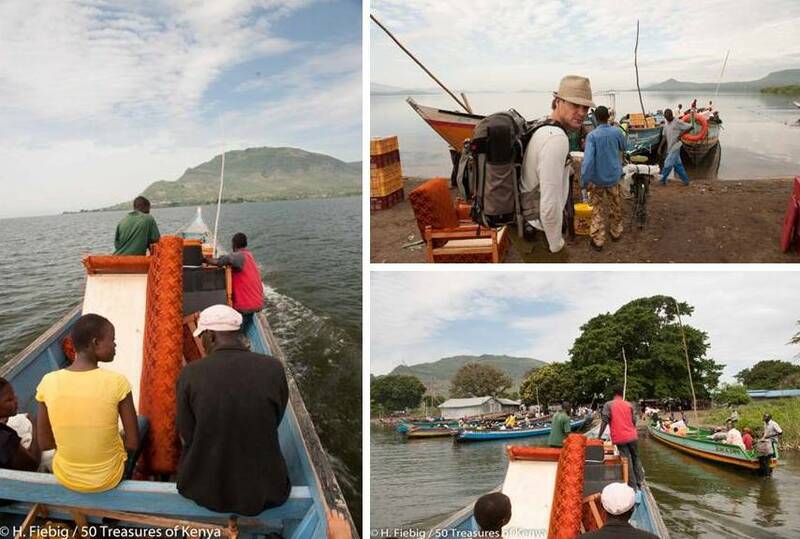 Alternatively, you can also rent a boat from Kisumu which departs from hippo point or Railway beach. Found on the offshore of Lake Victoria, its truly a beautiful place with a resort that can be booked from the mainland in Mbita. 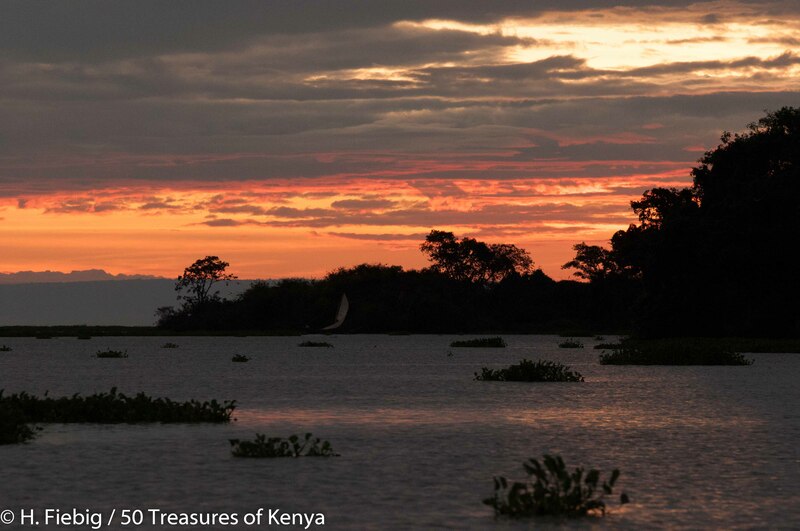 This a haven for hippos and a vast array of bird-life and one of the most unspoilt islands on Lake Victoria. Takawiri Island also goes by the names, Takavire, Takawiri Island, Takivere Island, Takiwiri Island. 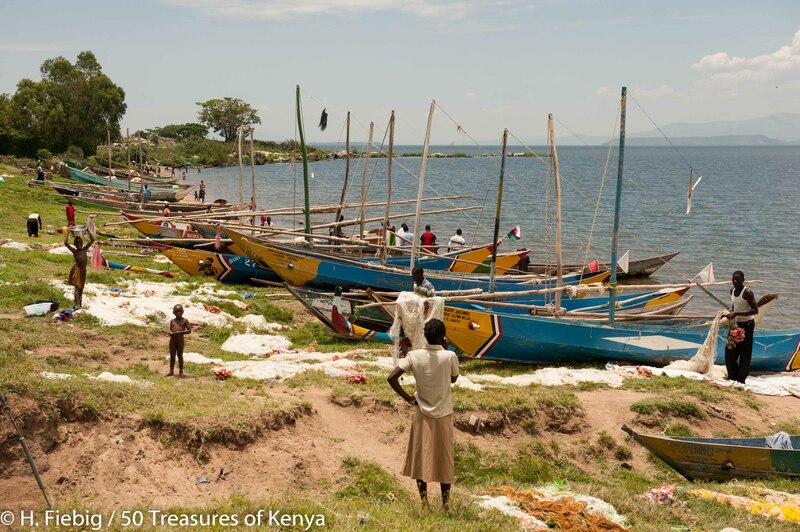 Takawiri can be reached by road from Kisumu via Homabay to Mbita and by ferry from Luanda K’otieno beach which is a 45 minute ride on the lake ferry. It has cottages which can accommodate 16 people sharing a double room. 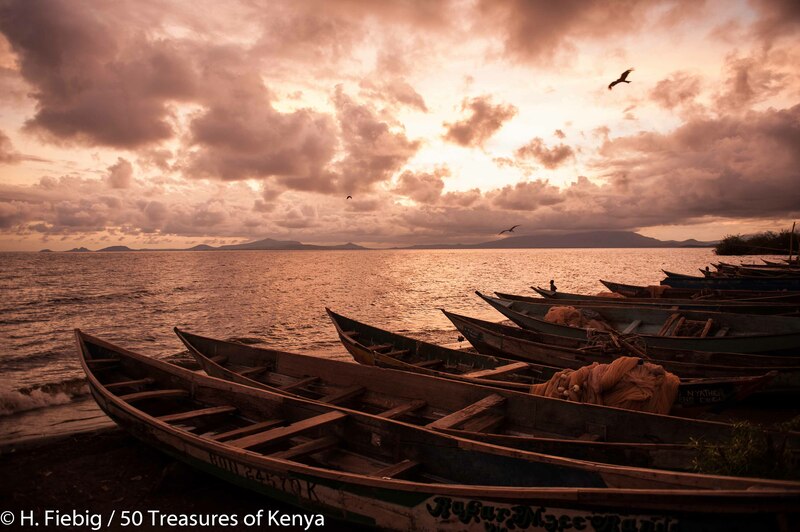 The area is famous for its fishing activities and the amazing sunsets on Lake Victoria. You can also enjoy walks through lush vegetation on top of the hills or along the lake shore For those interested in culture, there is the possibility of visiting a Luo family and experiencing their day-to-day life or the school in the next village. This is a small town which sits on a peninsula on the Lake with several islands in its vicinity. It is almost exclusively inhabited by the Luo tribe because of their close proximity to the Lake. The Luos who quickly adapted to fishing as a means of survival, who are now the renowned fishermen, use gill nets and long-line fishing to catch Tilapia and Nile Perch in the Lake. At night, out on the lake, a long chain of flaming pearls can be seen – the floating lamps of the fishermen attracting omena – sweet water sardines. It is called ‘the city on the lake’ because every night thousands of kerosene lanterns attached to the canoes dot the horizon of the lake. They use the light to attract the lake flies close to the water, which then attracts the smaller fish to the surface and into their nets. The Omena catch- after a night out on the lake. They also use nets and basket traps to catch the tiny Omena fish, similar to a sardine, that are sold in large quantities. Most of the fishermen use hollowed-out log canoes or plank-built craft of considerable complexity and size. Until Kenya’s independence in 1963, the fastest and most modern ferry,MV Victoria, was designated a Royal Mail Ship. In 1966, train ferry services between Kenya and Tanzania were established with the introduction of MV Uhuru and MV Umoja. The ferry MV Bukoba sank in the lake on May 21, 1996 with a loss of between 800 and 1,000 lives, making it one of Africa’s worst maritime disasters. The main road access to Lake Victoria by public or private means is via Kisumu. The city is also accessible by rail from Nairobi; there is an airport in the town with scheduled flights and charters can also use the airport. The only private airstrip available at the moment is on Mfangano Island. Malaba which is also not far from the Lake is the main access along the border when crossing from Uganda. 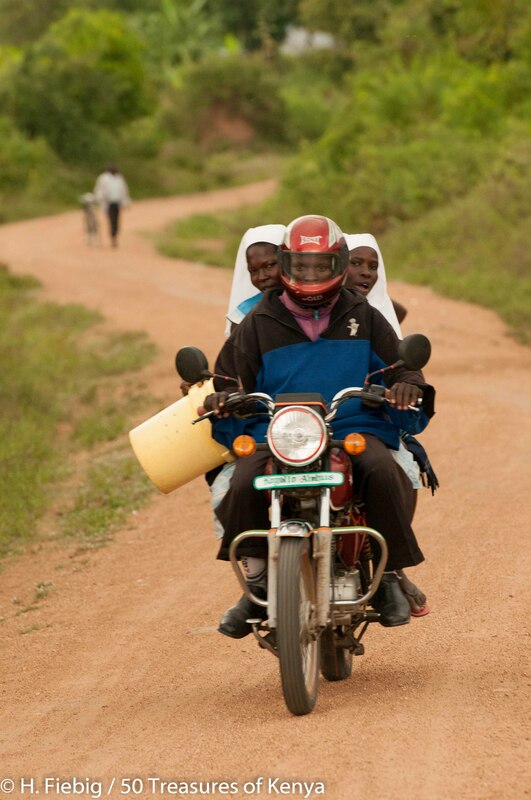 A traditional way of accessing the border is by a cycle taxi called the Boda Boda. From Kisumu there is some road access to the Lake south of Homa Bay. Ferries and private boats are mostly used to access the islands. It is nestled on Rusinga Island in a private retreat in one of Africa’s most remote and historical corners. The atmosphere is informal and relaxed. Long sleeve shirts and traditional sarongs are often worn in the evenings. The lodge is open all year round. Rusinga’s renowned hospitality of delicious home-grown, home-cooked food and indulgent accommodation combine to offer an ideal base from which to explore other areas of East Africa. Exuding an atmosphere of serene tranquility, Rusinga’s manicured lawns stretch to Lake Victoria’s edge. 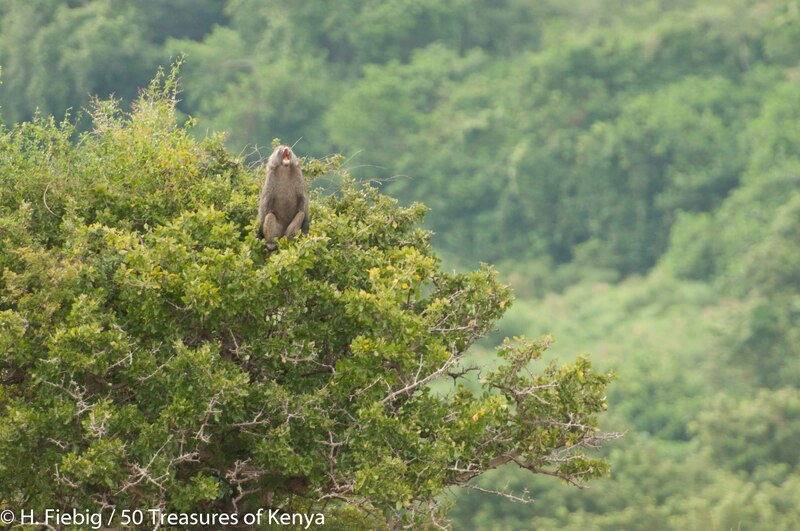 Rusinga’s grounds, with its exotic trees, are haven to a myriad of bird species – many of which are unique to this small corner of Kenya. These spacious grounds offer a safe environment for children to release energy and for the more active to catch up on exercise. Access is either by private air charter or by road. The nearest scheduled flight points are the Maasai Mara or Kisumu. From Kisumu it’s an interesting 3-hour drive and ferry ride to the lodge. From the Maasai Mara a charter flight is recommended (35 minutes). The airstrip is adjacent to the lodge’s impressive entrance, where you are greeted with ice-cold towels and refreshing, homemade lemonade. Lapped by the waters of Lake Victoria shaded by giant fig trees, and lost to the world, Mfangano Island Camp is an oasis of tranquility, an ideal retreat from the hustle and bustle of modern life. If all you desire is to laze in the sunshine, each room has its own private veranda with sun beds. Or there are plenty of activities to keep you occupied. The food’s as fresh as can be, fished from the lake (hopefully by you!) or picked fresh from the island’s vegetable gardens and orchards. Gwasi Hills seen from Mfangano Island. 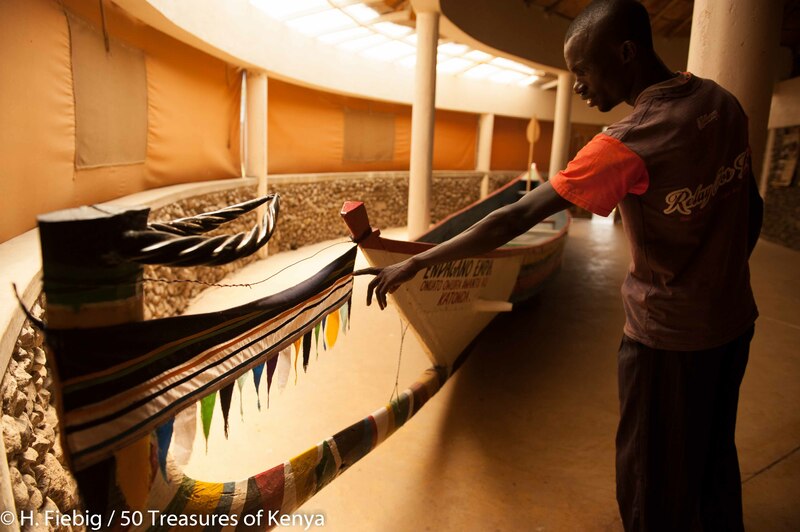 Mfangano Island Camp is a tranquil retreat on an island with no vehicles, where transport is by colourful local canoes. 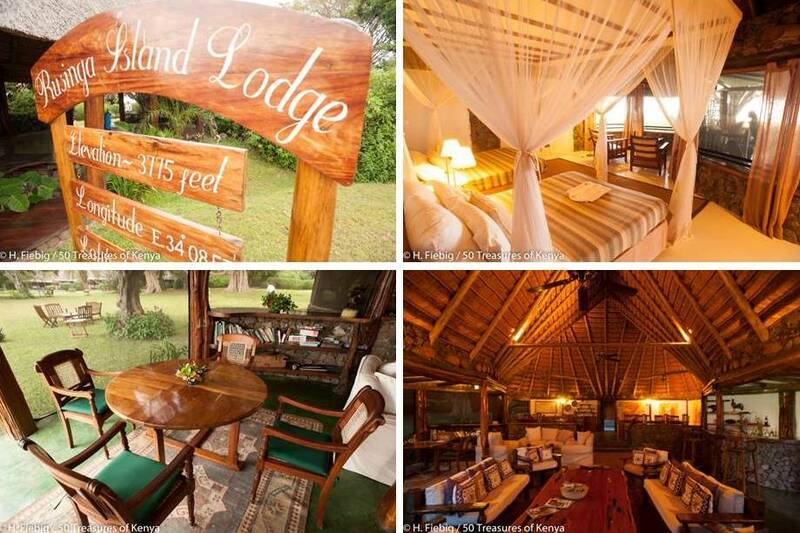 It offers a perfect place to relax and unwind either at the beginning or the end of your safari. Mfangano has six light, airy cottages with their elegant four poster beds which are perched directly on the lake shore, built in the Luo tribal style, with banana thatch and natural clay. They all offer spectacular vistas across the lake with picturesque dhows sailing by. There are activities at the camp to keep you occupied, such as fishing for Giant Nile Perch or Tilapia, bird and otter watching, trips to the local village and ancient rock art sites. There is also a ‘horizon’ swimming pool. It’s always a pleasure to see the blogs and enjoy the pictures, and especially when I recognize the places where we have been! Hope you are all well, and things move forward as you prepare for the big day! Warm regards from cold and rainy Switzerland!! …much appreciated Daniela! Our success is your success.We take great delight in your support and all the work put into the research that we can now share with others on our blog. Your views are still very welcome in the event you would like to make a suggestion or correct something we may have overlooked.Thanks again. Much obliged Sammy. Please try calling +254-572024804. Otherwise you could also contact one of the many travel agents which advertise for Takawiri Island Resort when you check out the online directories for the current rates.We trust you will get all the other info you may need from there. All in all have a great time wherever you are in our wonderful country and always remember to Treasure Kenya.